Every marketer knows that a successful inbound marketing strategy includes a blog. But not just any blog – a blog with great content, a schedule with new articles, and an SEO strategy to increase viewership and leads. 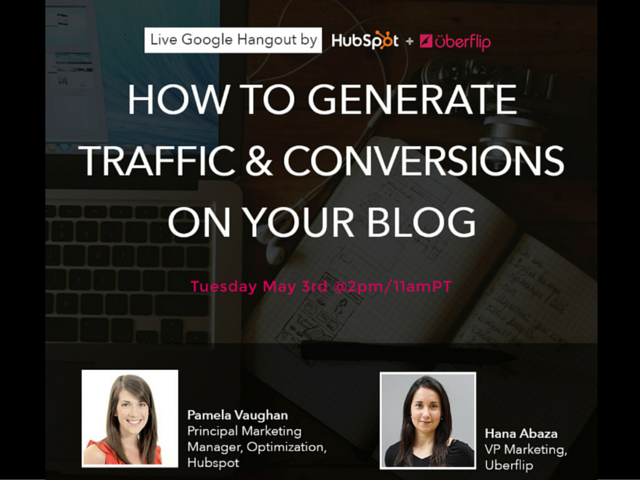 In this live Google Hangout, we joined forces with HubSpot to teach you how to optimize your blog to generate traffic and leads... without having to create new posts. Watch it now!